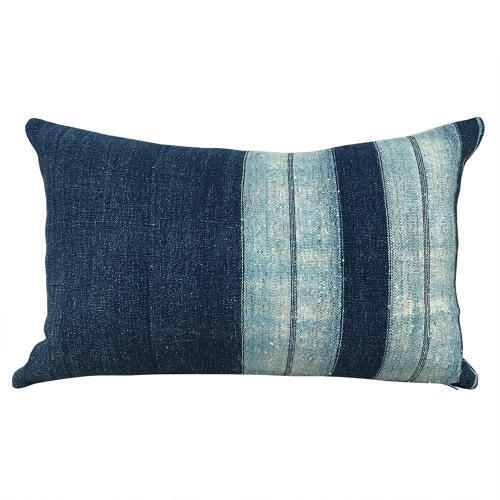 These wonderful faded indigo cushions are made from a thick, slubby cotton handwoven cloth by the Igarra group in Nigeria. There is also a pair available with dark blue tassels listed separately. They have zip fasteners and feather pads.